In today's newsletter we take a look at how modern business is leveraging the flexible-workforce model with nearly 20% of all employers using freelancers to a greater extent. Cost control and skill optimisations are major drivers as is headcount flexibility. We also provide some tips on how as a freelancer you can better promote and sell your services and increase your chances of success. For those of you who do not have the capability at present, we introduce you to some free PDF conversion software that will allow you to create your own professional Adobe documents. 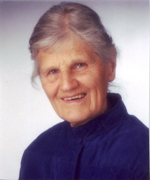 Lastly, but definitely not least, we introduce you to the fascinating Dr Brunhild Stuerckow who at 86 is our oldest and most exceptional freelance consultant. Dr Stuerckow is a teleworker based in California who specialises in translating highly technical literature from German to English. Wishing you a busy and success March. Freelance-Market offers an excellent means for you to promote your services and sell yourself to the open market. But it is up to you to optimise your chances. A likely buyer reviewing two candidates will go for the one that provides the most relevant information. Even if you're more qualified and skilled then the other candidates, unless you promote yourself as such you may miss out. So here are a few tips on how to optimise your sales potential via freelance market.